Source: Prentice Hall/Pearson Education. Image provided courtesy of Calcul Quebec. Calcul Quebec's data center resides in a concrete silo that originally housed a particle accelerator. This is a classic "square peg, round hole" scenario. 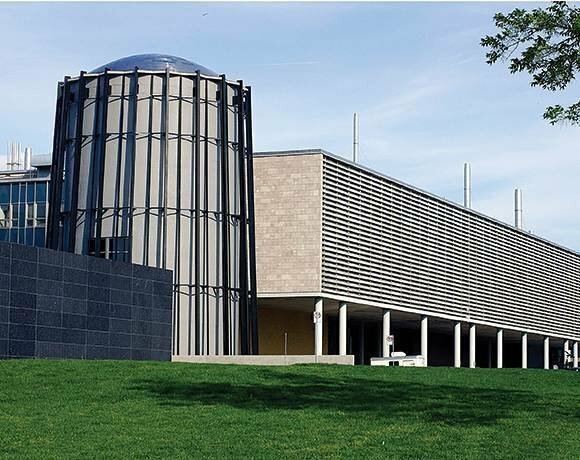 The Calcul project uses the accelerator's silo to house an innovative data center cooling design. The facility's 56 server cabinets span three levels and are arranged in circles with the vents facing the middle. Cold air comes through the front, and fans funnel hot exhaust through a grated floor. Calcul took a traditional hot/cold aisle system and adapted it to work in the cylindrical space.